Ultan Dillane and Quinn Roux. CONNACHT WILL WELCOME back four players from international duty for tomorrow’s Pro14 Conference A game at home to Ospreys (2.45pm). Having started for Ireland against Italy, second row pair Ultan Dillane and Quinn Roux return to the team, while Tom Farrell is back at centre alongside Peter Robb — making his first start of the season. Another Ireland squad member, Caolin Blade, is named among the replacements. “We have trained well and prepared well this week,” said head coach Andy Friend. “We have seen a really positive response from the players after a disappointing result last weekend in Glasgow. Ospreys, who sit three points behind Connacht, are missing Adam Beard, Aled Davies, Alun Wyn Jones, George North, Nicky Smith, Justin Tipuric and Owen Watkin (all Wales) and Giorgi Nemsadze (Georgia) due to international duty, while Dan Baker (knee, Sam Davies (groin), Tom Habberfield (shin), Rhodri Jones (shoulder), Dan Lydiate (elbow), Gareth Thomas (ankle) and Scott Williams (back) are all injured. “As a group we understand the importance of this last game during the Six Nations block against Connacht who are also vying for the play-offs,” said Ospreys head coach Allen Clarke. “Considering the off-field uncertainty the boys have been excellent, with a consistent focus on improving individually and collectively. “There’s frustration that we’ve been on the wrong end of score-lines in each of the previous three games but also a realisation that we have the solutions to deliver a more complete performance on Saturday. 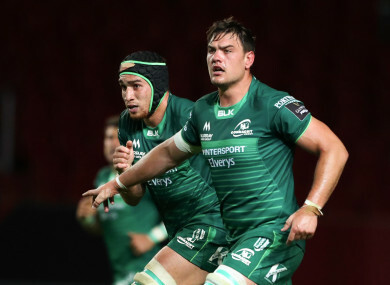 Email “Connacht boosted by return of Ireland quartet for Ospreys visit”. Feedback on “Connacht boosted by return of Ireland quartet for Ospreys visit”.